There were murmurs in the Worldwide Instax Shooters group on Facebook that Fuji Instax Wide Monochrome had been spotted in the wild. Regularly checking the updates in the group lead to a post by the admin that he had purchased several packs at Best Buy and that there was a multi-pack purchase discount. I immediately went to the Best Buy website and purchased three packs and waited for my shipment to arrive. With the multi-pack purchase discount, each pack averaged just over $14. I thought I would order a few more packs and was able to place an additional order to pick up at my local Best Buy. When I went to pick up my order, I browsed their instant camera and film section and saw that they also carried the new Polaroid OneStep2 and Polaroid Originals film. After a quick check of the online pricing, I discovered that the multi-pack purchase discount was also available on Polaroid Originals Film! But they only had one pack in the store. I was able to order 3 packs of I-type film for my new Polaroid OneStep2 at at discount to pick up later, averaging just over $12 per pack. 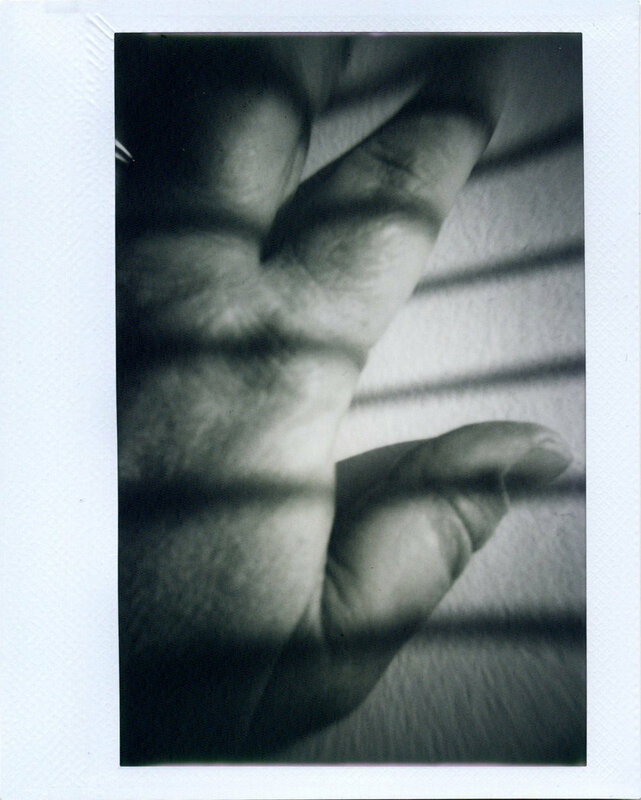 So here are a few test shots of the Instax Wide Monochrome Film using my Lomo'Instant Wide camera. For lack of a better subject or opportunity to photograph outside, these are a few self-portraits.